Present yourself and your business to leave a lasting impression ordering our two sided matt laminated business cards. 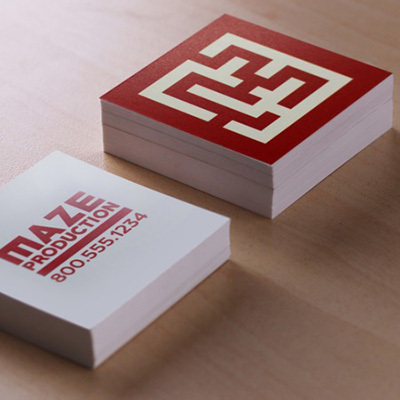 Upload your designs or get started with one of our business card designs. Product information: Our double sided square business cards are printed, finished and sealed with the greatest perfection. Be assured that your business cards are printed in the highest quality and delivered in perfect condition. Material / paper types: 300gsm Matt card paper stock. Finishing: Matte lamination and choose between square and rounded corners. Pricing: Starting at N5,550 for 100 copies.